In 2014, more people died from drug overdoses than any recorded year in American history, a distressing indicator of the global opioid abuse epidemic still on the rise today. Since 1999, the rate of overdose deaths has quadrupled, over half of which involve a prescription pain reliever. There are many theories as to the root of the problem, whether it be inadequate law enforcement and drug laws, ineffective rehabilitation programs, or even drug prescribing privileges and abuse in the medical field. But the truth of the matter is, opioid addiction and abuse is not a new problem in the U.S., and has in fact been very much a part of our country’s history since the 19th Century. The medical use of opioids has been around since the 1500s. However, use of these prescribed substances didn’t surge until several centuries later, in 1806, when German chemist Friedrich Wilhelm Adam Serturner created morphine. This powerful drug soon became a panacea in the U.S. for pain, anxiety, respiratory problems and “consumption”. It wasn’t until the end of the Civil War that addiction became a clearly evident problem, as a result of the morphine soldiers were frequently administered to treat battle injuries, as well as other pains and mental distress. On the other spectrum of society, opioid addiction was also frequently seen among upper-class white women, who were prescribed opiates for menstrual and menopausal pains. In response to the addictive qualities associated with morphine, heroin was developed by the end of the 19th Century and marketed as a “non-addictive” cough-suppressant and alternative for medical uses. At the time it was even prescribed as a treatment for those suffering and trying to recover from morphine addiction. 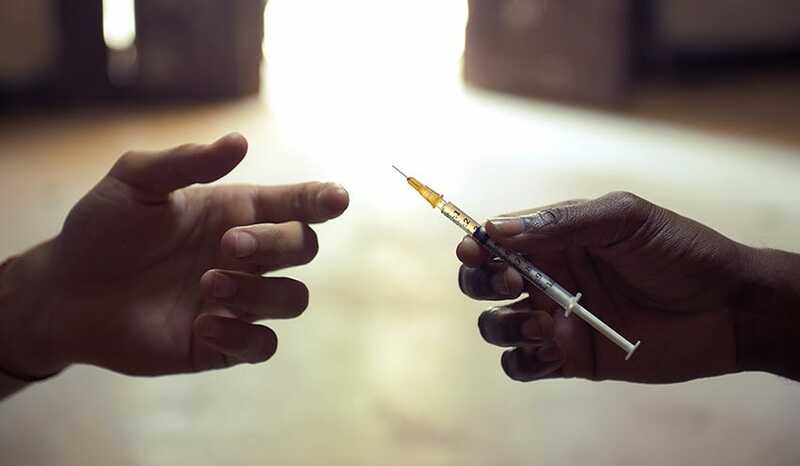 However, due to heroin’s euphoric effects, along with the newly developed technique of administering drugs through hypodermic needle, it had a dramatic effect on the rise of opioid use and addiction. In 1909, the Opium Exclusion Act, largely considered the “opening shot in the U.S. war on drugs”, was passed, barring the importation of Opium for recreational purposes. Despite the measure, abuse rates continued to rise. Opioid addiction soon became not just a medical problem, but a social problem, with the massive arrival of European immigrants in the early 20th Century. Once prevalent amongst war veterans and the wealthy, who people sympathized as mere sufferers of an illness, abuse and addiction now spread amongst young, poor immigrants, who often sought out opioids through illegal means solely for recreational use. The prominent discrimination already widely directed toward new immigrants was only enhanced by and thus became associated with opioid addiction. Whereas previously society's response to addicts was to develop and provide treatment and rehabilitation, the implemented solution became strengthening of law enforcement. Along with the large rise in crime in the 1920s following Prohibition’s illegalization of alcohol, came a new underground market for opioids as well. This stigmatization of opioid-addicted groups has persisted through the years and is arguably still very much alive today. Many researchers have even determined that negative views held toward people with substance abuse and addiction disorders reflect, in part, racial and class biases. However, prescribed substance abuse and addiction is by no means isolated amongst any particular demographic. Although low-income minority men and women make up the majority of illicit opioid (such as heroin) users, anyone with the ability to obtain a painkiller prescription is at potential risk for addiction. And while substances like morphine and now-illegal heroin are no longer considered staples for pain relief, the modern painkillers used today are still potentially dangerous, highly addictive substances. Not only have sales of prescription opioids quadrupled in the U.S. since 1999, but deaths from opioid overdose have as well. Fortunately, nonprofit organizations and even government initiatives are working hard to destigmatize opioid addiction has something that should punished by law. Centers for Disease Control and Prevention released a guideline for prescribing opioids, as an effort to further prevent prescription abuse. Programs like the “Hope Initiative” in North Carolina have been created as well, which allows opioid addicts to go to a police station, without fear of legal punishment, if they want help with their drug problem. The country has a long way to go before stopping the rise of the opioid epidemic, if not eventually curing it. However, it’s actions like these, which focus on helping people as opposed to punishing them, which will in the end make the greatest impact on the health and lives of millions of Americans.